There are so many reasons to love induction cooktops and the BSIH64 will have you impressing your family and friends with outstanding results. 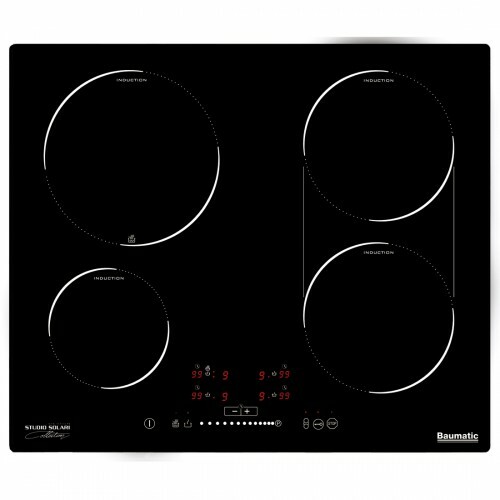 This cooktop has all the benefits of induction cooking but with the added benefit of one large flexible cooking zone with pan sensors or 4 individual cooking zones. Responsive induction technology using touch controls mean adjustments to temperature are immediate and precise. Burning a meal and spill overs will be a thing of the past. Clean ups are as easy as a wipe over as it is the pot that is heated rather than the cooktop - no more burnt food to scrape off. The child lock and quicker cool down of the surface area provides extra peace of mind. The pause function which enables you to briefly pause cooking gives you added flexibilty.